San Diego Harley Owner's Group (HOG) is a group of unique individuals with one common interest - freedom in the wind and love of the ride. Check us out! The Harley Owners Group (H.O.G.) is an organization founded and sponsored by Harley Davidson Motor Company. The group was established to offer motorcycling benefits and services to Harley-Davidson® enthusiasts throughout the world and to develop a close relationship between the Harley-Davidson® dealer and Harley-Davidson Motor Company®. Interested in Joining San Diego HOG Chapter? 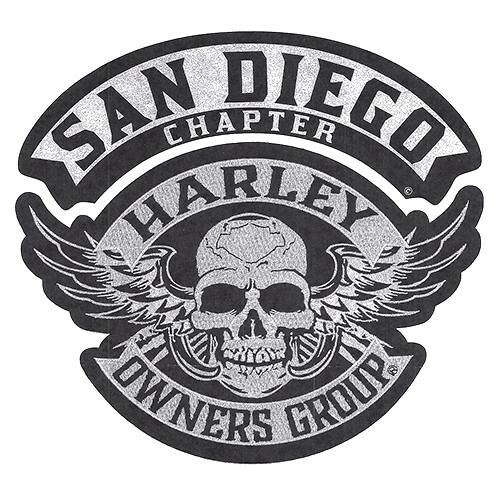 San Diego Harley Owners Group promotes responsible motorcycling activities for Harley Owners Group members by conducting chapter activities and encouraging participation in other H.O.G. events. So come and join the fun! The cost to join is only $25 cash/check, or $26 with paypal, https://paypal.me/sdhog, for a full year membership. The Membership includes monthly meetings and a monthly newsletter to keep you updated with our H.O.G. group. The membership also gives you the opportunity to ride with experienced, friendly riders who all share the love of riding.